This year’s Canadian Higher Education Information Technology Conference, CANHEIT 2012: Building the Digital University, was held at the beautiful University of Saskatchewan. CollegeMobile was a proud sponsor of the event and was privileged to present a breakout session to over 80 IT professionals. At the conference, Jess and I found it very obvious that universities were more aware of the need for mobile apps compared to CANHEIT 2011 at McMaster University. IT professionals across Canada asked us numerous questions about mobile app strategies, app features, native apps, web apps, and more. It seemed as though everyone had already at least considered a mobile app or mobile-optimized site, they just needed more knowledge and/or funding. Well, we can’t give away the money trees we’ve been growing, but we can equip you with the knowledge to grow your university’s mobile strategy! At our tradeshow booth, we had showcased a number of our apps, including Carleton Mobile for Carleton University, iULSU for University of Lethbridge Students’ Union, and the first version of iUsask for University of Saskatchewan. We had several questions about the ERPs we develop for, with a huge demand for Peoplesoft and Banner – both of which CollegeMobile can support. 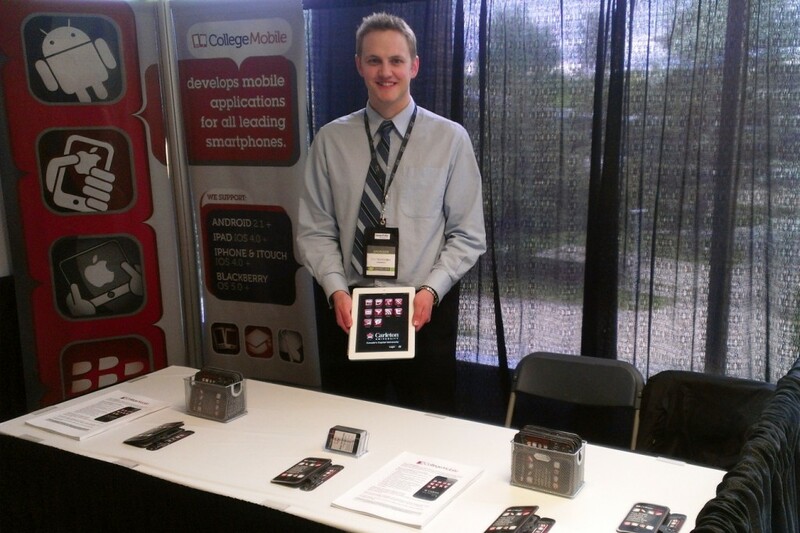 As for LMS, there was quite the demand for Luminis and Moodle – also both supported by CollegeMobile. On the first day, I co-presented “The Making of a Mobile Campus: Carleton University’s Mobile Development” with Andrew Riddles, Web Architect for Carleton University. Andrew explained Carleton University’s mobile website, and then I discussed the development of the Carleton Mobile iPhone and Android app. One of the recurring themes is that mobile sites and mobile apps have different purposes. 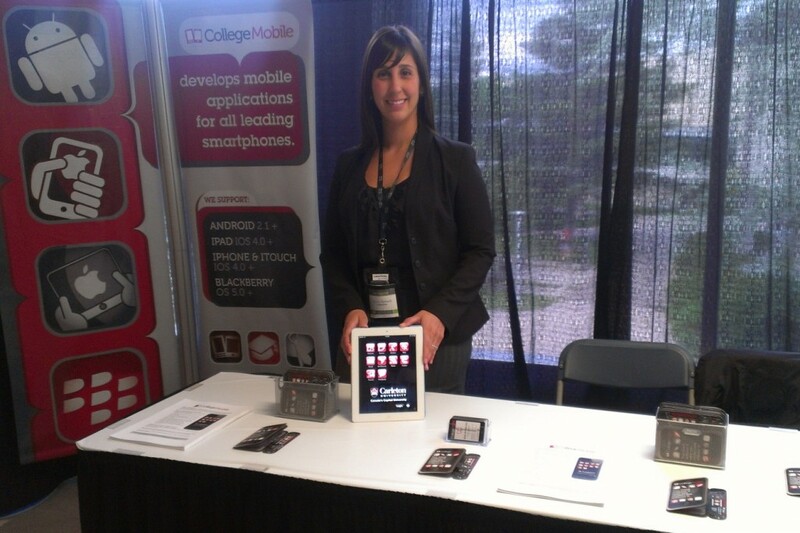 We’re excited to see the state of mobile apps at CANHEIT 2013!